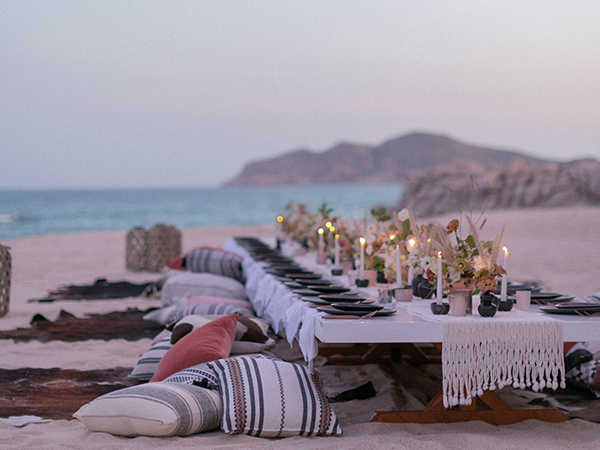 New Year's Eve elicits a special feeling of new beginnings and celebration, and it can bring a truly elegant and festive touch to your wedding, but you may be wondering if the timing is right for the destination wedding of your dreams. 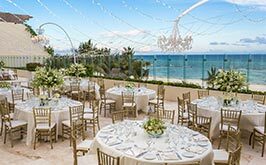 The truth is that there are pluses and minuses to having a New Year's Eve wedding that it's important to consider - here are some insightful thoughts on the matter from our Grand Velas wedding planners. Your friends and family enjoy gathering together on New Year's Eve each year, so why not surprise them and create the best New Year's Eve celebration ever with an invitation to your destination wedding in paradise. You can create a special surprise at midnight for all the guests to remember. Besides having an utterly fabulous time, you can be sure that your friends and family will remember your wedding anniversary each year! It'll go down in the books as the best NYE celebration. + Dress it up to the Max! New Year's Eve is by far the most glamorous date of the year. It's the day when everyone wants to look spectacular to receive the new year in the best way. If your heart is set on all that sparkles, you can take it to the max on NYE without being seen as over-indulgent. + Christmas Vacation - Need we say more? 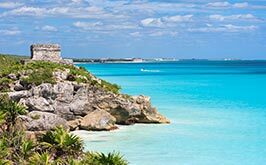 The best part about a wedding this time of year is that most of the world has this time off work and wants to travel to a warm, paradise location! 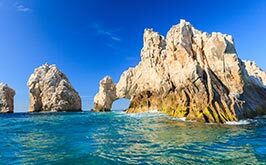 Give them the Christmas holidays they have been dreaming of with an excuse to get away from the hustle and bustle and join you on a picturesque oceanfront paradise in Cancun, Los Cabos or Puerto Vallarta! Now let's discuss the potential downsides of planning a New Year's Eve Destination Wedding. What time is the best time for the festivities? 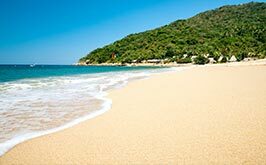 It can be difficult when planning your beach wedding on New Year's Eve to decide when your party will end and when it will begin. 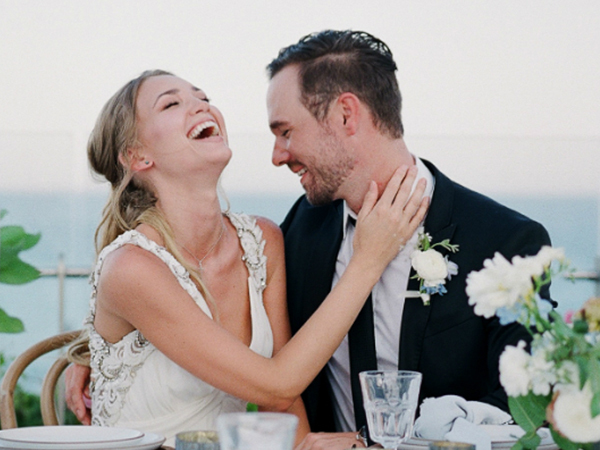 Clearly, the reception needs to last at least until midnight to have the lucky 12am kiss, party poppers, champagne and the like, but do you want your wedding to be during the sunset? Or in the afternoon? Or how about after dark? There are many options - it's important to consider the timing on this holiday. Your family and friends just recently went overboard with their holiday gift-giving at Christmas and Thanksgiving, so it can be hard for some of your guests to spend more money on another trip during this holiday season. 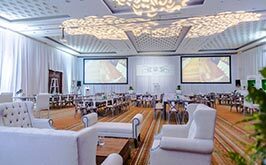 Although you can help with this early when you plan ahead with our Grand Velas Wedding Planners who can help you block out dates and rooms so your guests can take care of their lodging and flights much earlier in the year. Problem solved! 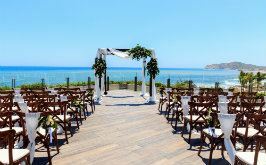 Some of your guests may have issues with prior commitments for their upcoming New Year's Eve, so it's so important when planning a destination wedding on a special holiday that you send the Save the Date cards many months in advance, maybe even a whole year to ensure that your loved ones prioritize your big day for their NYE celebration! 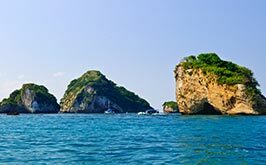 Whether you decide on a New Year's Eve wedding or a wedding during the weeks prior to or following, an excellent option is to have a destination wedding on one of the finest Mexican beaches in the world with Grand Velas Los Cabos, Grand Velas Riviera Maya, Casa Velas in Puerto Vallarta or Grand Velas Riviera Nayarit. 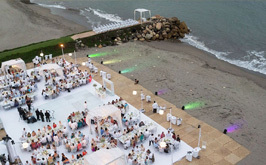 Our luxury wedding planners at Velas Weddings are skilled at planning large and small events - creating truly unique and fabulous dream destination weddings experiences, while ensuring every detail is handled with luxurious perfection. 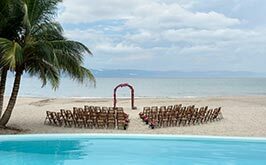 Visit us at Velas Weddings to discover The Velas Experience and begin planning your beach wedding.